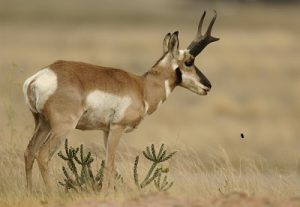 PHOENIX — Only hours remain for hunters who applied online for 2018 elk or pronghorn hunt permit-tags to update their credit card or debit card account information and purchase PointGuard to protect their bonus points. The deadline is 11:59 p.m. (Arizona time) Thursday, March 1. In an ongoing effort to improve customer service by announcing all draw results sooner, the deadline was moved forward to March 1 from the original March 15 date that appears in the “2018 Pronghorn Antelope and Elk Hunt Draw Information” printed booklets and online. Online applicants who have been issued a new credit card or debit card, a new expiration date, or had a change to their card’s number should visit https://draw.azgfd.gov/. Scroll down the page, select “Update My Payment Information” and follow the prompts. Note: It is important to update payment information for each species for which an online application has been submitted. Meanwhile, applicants still can purchase PointGuard as part of their online application, provided they have created a free AZGFD portal account. It’s quick and easy. Visit https://accounts.azgfd.com/Account/Register and complete the required fields. Draw results will be posted to portal accounts. PointGuard ensures that if a successful applicant is unable to participate in a hunt for any reason, the accumulated bonus points that were expended to draw that hunt permit-tag will be reinstated. The cost is $5 for each species.